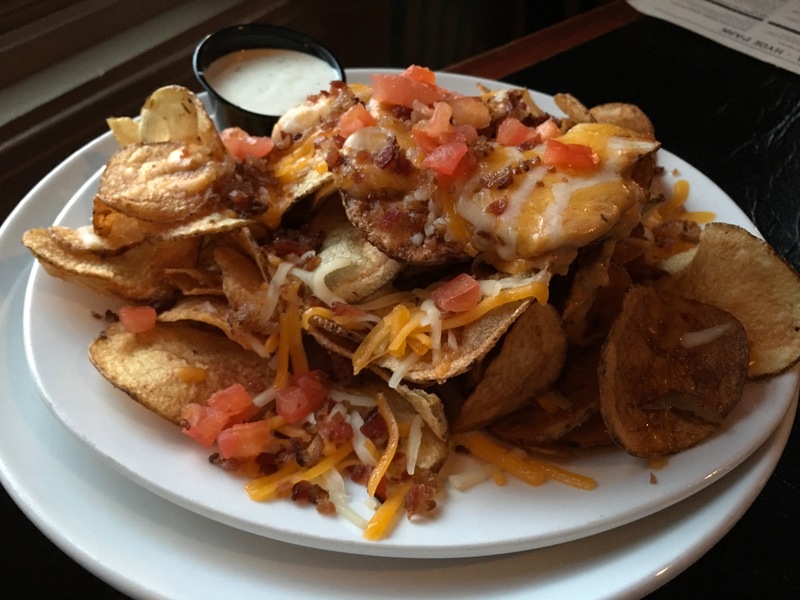 Keystone Bar & Grill (+ Giveaway) – Go There. Try That. Baseball. Hot dogs. Apple pie. Fireworks. Pickup trucks. Kentucky bourbon. George Washington. All iconic Americana! What’s missing from this list? Macaroni and cheese! Seriously, though. 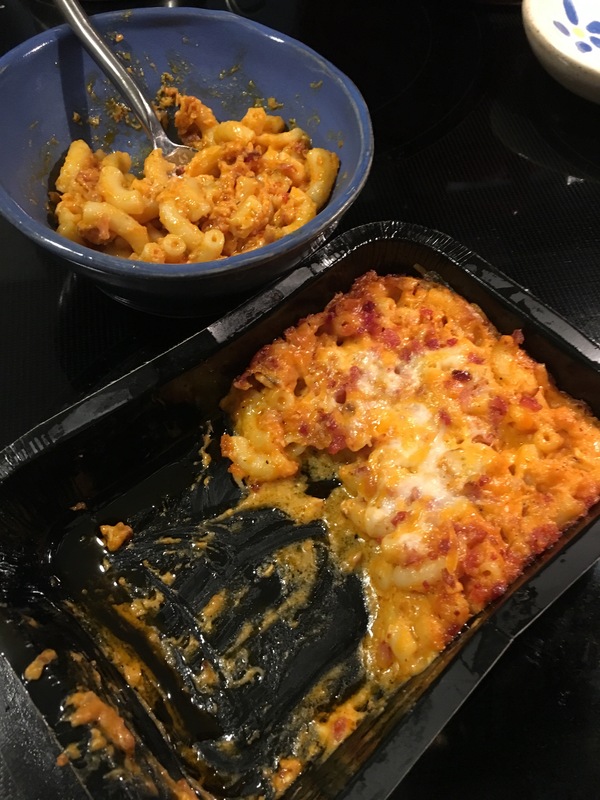 I’ve rarely attended a potluck dinner that did not include someone’s homemade version of mac and cheese. As a kid, getting Kraft Mac and Cheese as a meal was a huge deal! I’ve heard students debate which box brand is better: Kraft or Velveeta. We love our mac and cheese . 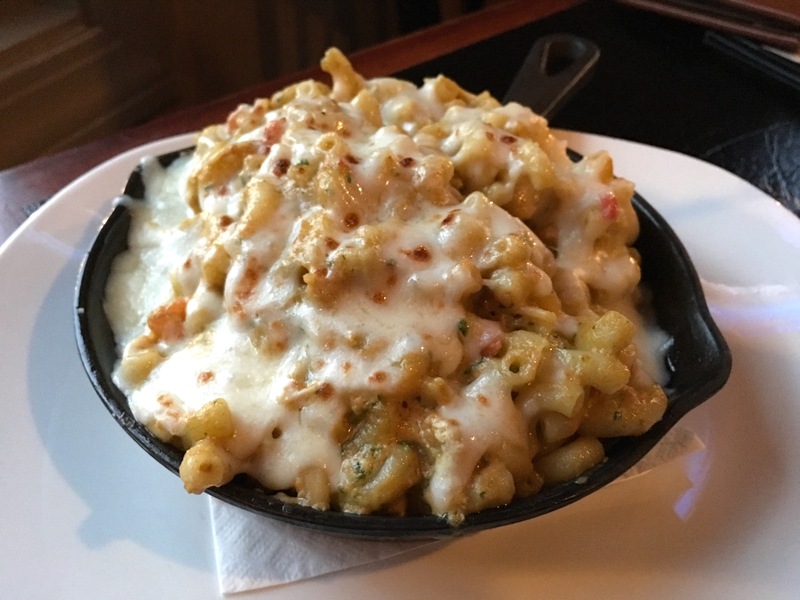 . . especially when that mac and cheese comes from Keystone Bar & Grill (Covington, Clifton, Hyde Park). When we go to Keystone, ordering mac and cheese is a must, but we enjoy many other menu items as well. 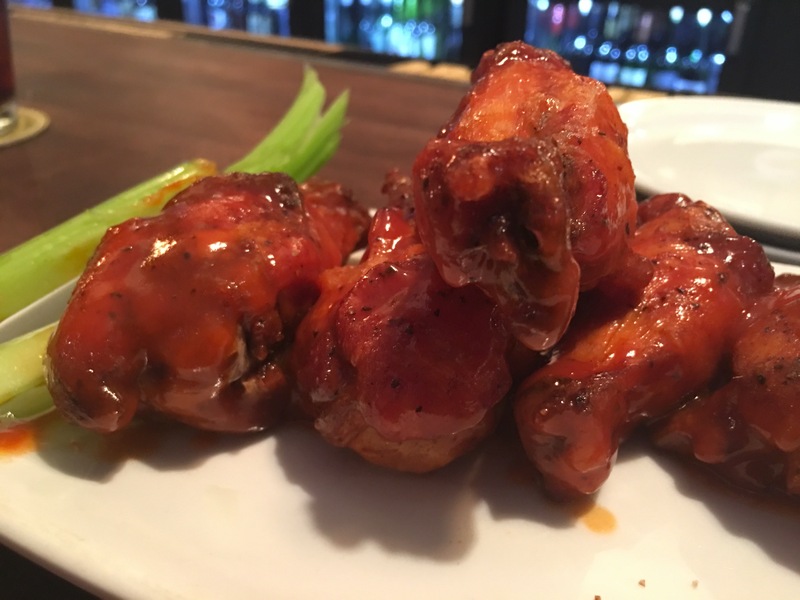 Recently, a friend of ours encouraged us to try the wings. More specifically, the Perfect Harmony wings. Great recommendation Wes! The sauce is a mix of buffalo and barbecue. The wings themselves are meaty- not greasy! Keystone uses a lighter breading on the wings so it feels healthier. For the first time ever, I had no desire to dip my wings in ranch! That’s huge people. The only other app I’ve tried so far is the Loaded Keystone Chips. These are a fun play on nachos only the tortilla chips have been replaced by kettle chips. We cleaned the plate; clearly, these chips were good. But, it’s those wings I’m still thinking about. 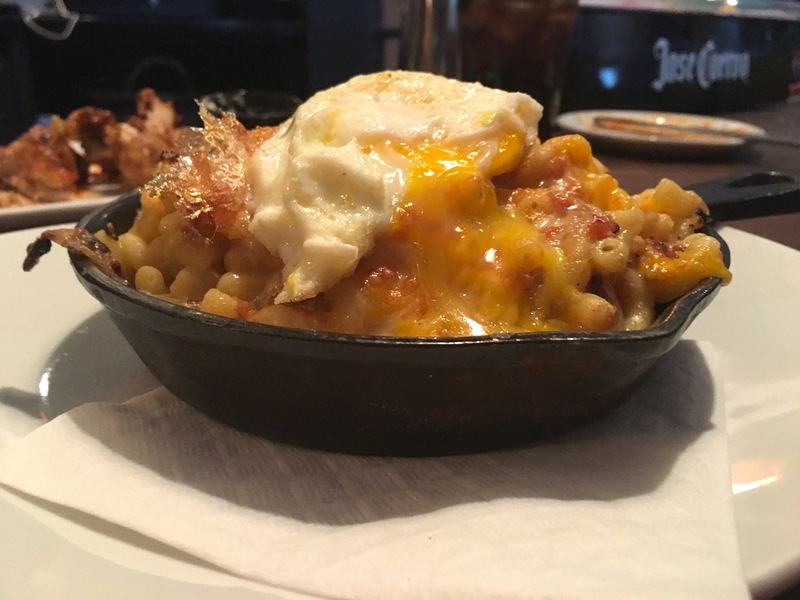 When it comes to mac and cheese, I’m still working my way through the mouthwatering nine variations at Keystone. As I say all the time, I love it when I’m with a group, everybody orders something different, and we share. Whichever mac and cheese dish you choose, be assured the cheese will be browned and the macaroni cooked perfectly! I love that it’s served in a sizzling hot skillet. Warm, rich, and comforting! If I had to pick one favorite, it would be the Morning Mac. I love that runny egg on top! So decadent! I would probably add more goetta in the mix, but Keystone is great about customizing orders because it’s all made from scratch. I added chicken to the Fleetwood Mac and that rounded out the dish. I’m trying the Black Sabbath next time because it comes with Stout-Braised brisket! Hello?! How could that not be good? 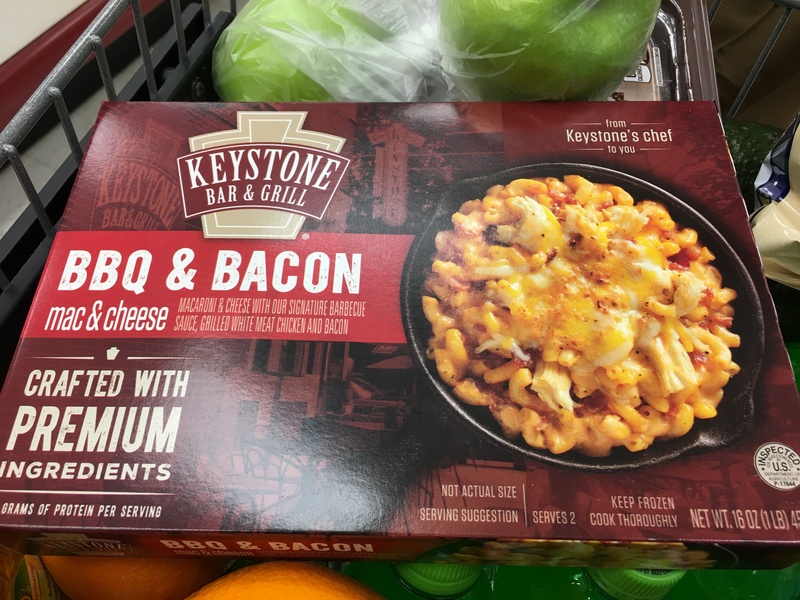 Keystone now sells their mac and cheese in the frozen section of local grocery stores. Score! I found mine at Kroger. Heat and serve. Trust me when I say, it might not look pretty in this pic, but it’s delicious. This B.B. King (BBQ chicken and bacon) was quickly devoured. Who needs the box version when you can get the really good stuff at the grocery! While Keystone is most known for their mac and cheese, I’ve heard only good news regarding their sandwiches. Plus, I’m excited to try Keystone for breakfast because that menu looks amazing! Last time I was drooling over the breakfast sandwich and potatoes of the guy sitting next to me! Seriously- I was staring. 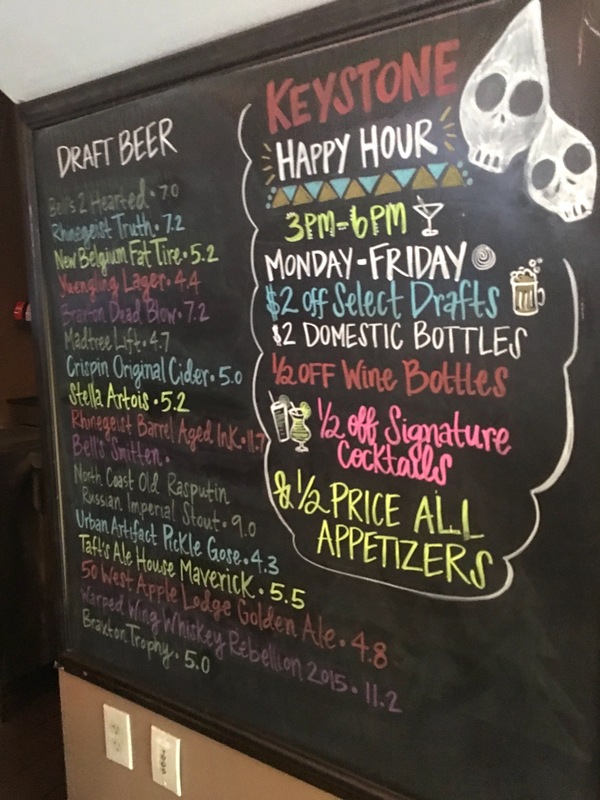 If you’re into beer, local craft is the focus at Keystone Bar & Grill. From local Cincy choices like Mad Tree and Rhineghest, to NKY’s Braxton, to Dayton’s Warped Wing, the options are solid! Tip: Monday’s = half price mac and cheese. GO THERE (Keystone)! TRY THAT (Morning Mac, Perfect Harmony Wings)! Now for the giveaway! I have $25.00 at Keystone up for grabs. How to win? Share this post on social media. Be sure to tag @gotheretrythat! A winner will be chosen at random Sunday, March 5th! I will try this restaurant next week, I love mac and cheese.? m51860@aol.com love all of your menu! Kenny and I had the Black Sabbath! It as amazing. For sure. Oh my ! Looks like pure heaven.